MY FRIENDS AT SLAPDASH FOUND ME QUOTEWORTHY. 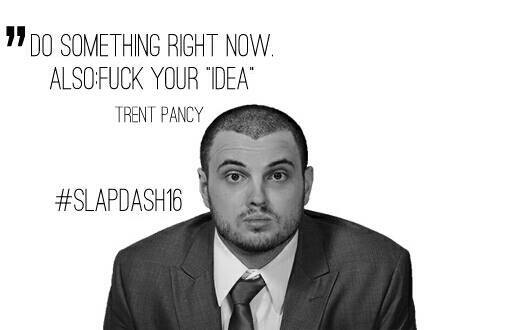 Back in November of last year, I was offered the opportunity to go to London to teach and perform at Slapdash 2016. It was a pretty amazing festival; one that brought the best, most playful improv from around the World to the intimate confines of The Miller Pub. While in London, I played with JadaJada Improv, did a duo show with Ulla, and got to play on stage with the other Instructors in two of the most high-energy shows of the festival.